Reactive dyes: we work with the best reactive dyes supplies to deliver to our valued customers brilliant and fixed colors. Direct dyes: providing a big collection of tenting colors. 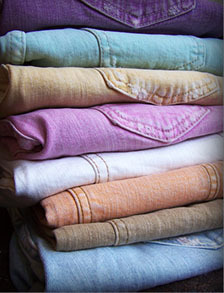 Pigment Dyes: to get a vintage fold look a your denim.